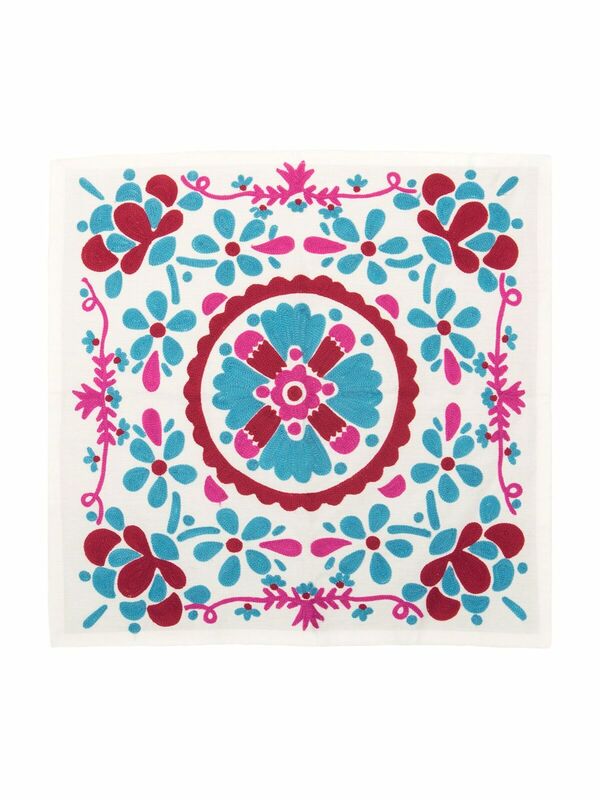 Our splendid Floral Cotton Napkins have beautiful embroidery that will brighten any table. 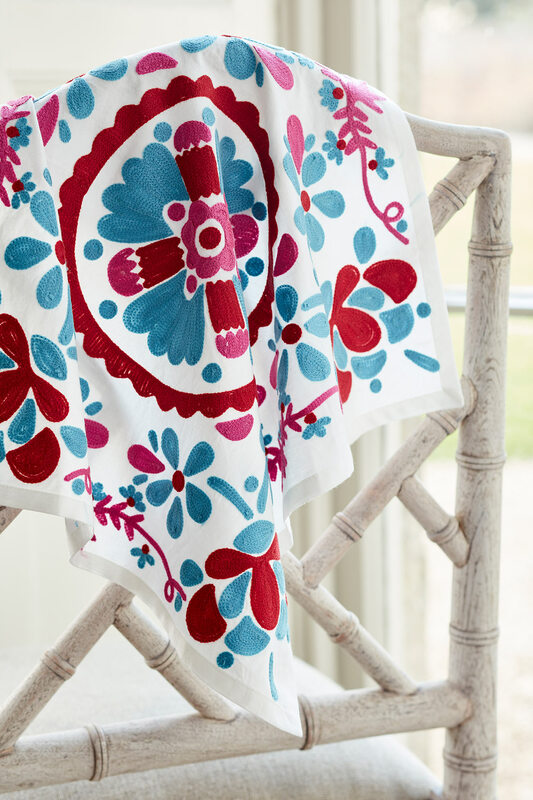 They are generously sized and made from pure cotton, with a lovingly hand-embroidered and jubilant pattern done in the exquisite, thousand-year old technique of crewel work. 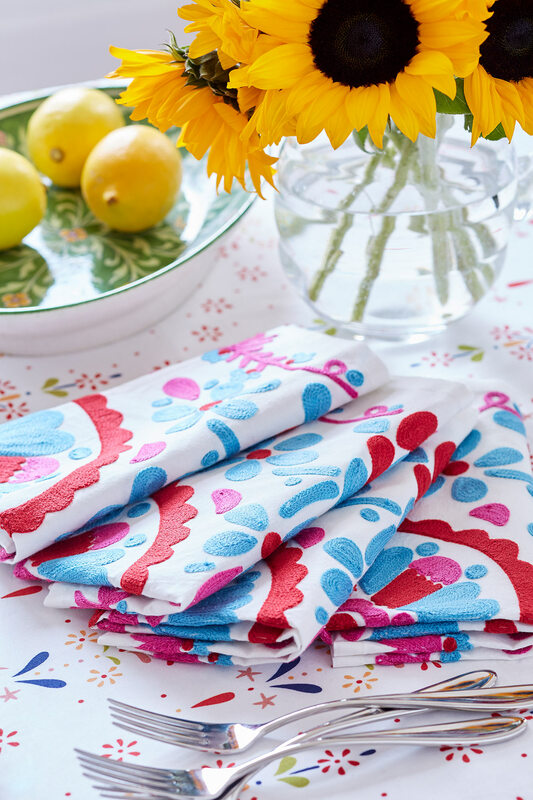 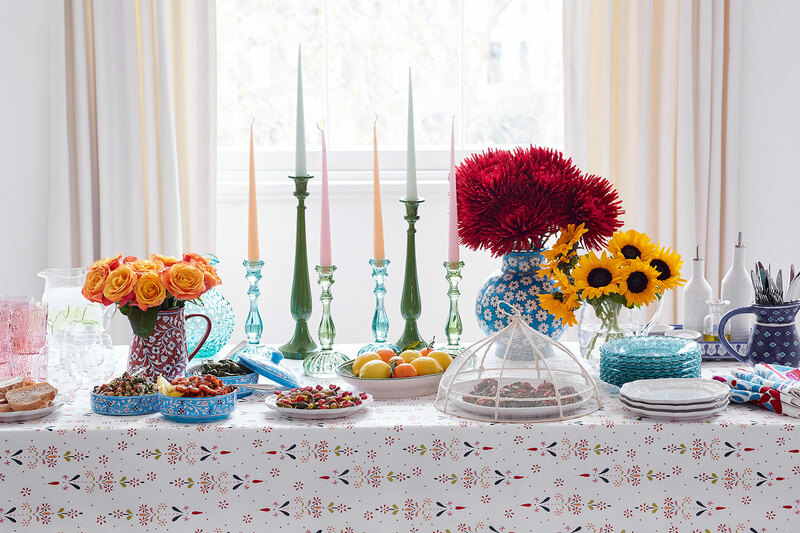 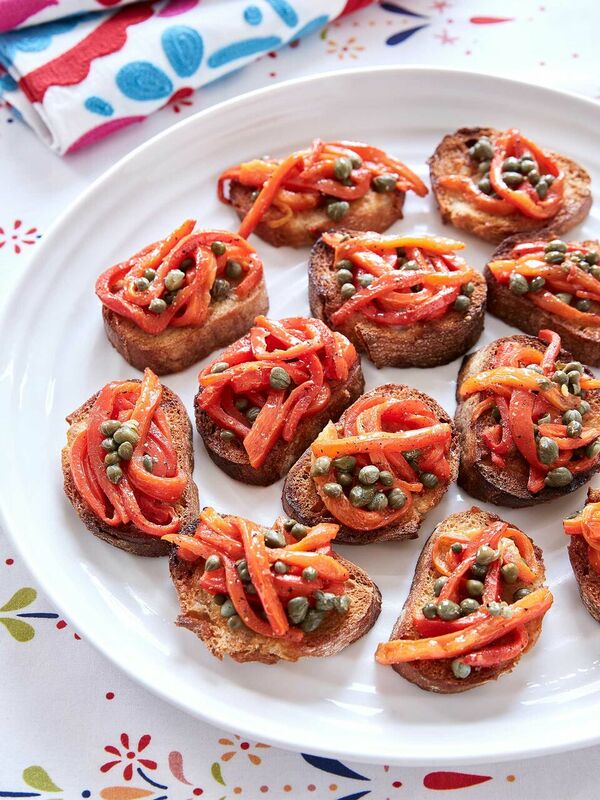 The bold pattern in uplifting shades of red, blue and pink will make you smile at every mealtime.